My new footwear obsession is the wooden heel ankle boots. I can't wait to get my hands on a pair (or two). 1. Short excursion boots from Anthropologie, 2. Isabel Marant Dixie boots from La Garçonne, 3. Rachel Comey Sir Burton boots from Steven Alan, 4. 5. Rachel Comey Hitch ankle boots from Steven Alan, 6. The alamanac boots from Madewell. 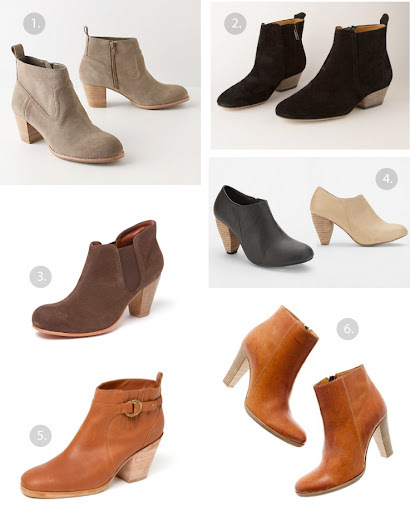 Cooperative pebbeled ankle boots from Urban Outfitters.